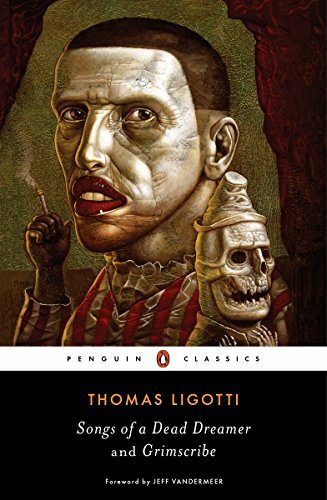 Thomas Ligottiâs debut collection,Â Songs of a Dead Dreamer, and his second,Â Grimscribe, permanently inscribed a new name in the pantheon of horror fiction.Â Â Influenced by the strange terrors of Lovecraft and Poe and by the brutal absurdity of Kafka, Ligotti eschews cheap, gory thrills for his own brand of horror, which shocks at the deepest, existential, levels. Ligottiâs stories take on decaying cities and lurid dreamscapes in a style ranging from rich, ornamental prose to cold, clinical detachment. His raw and experimental work lays bare the unimportance of our world and the sickening madness of the human condition. Like the greatest writers of cosmic horror, Ligotti bends reality until it cracks, opening fissures through which he invites us to gaze on the unsettling darkness of the abyss below. For more than sixty-five years, Penguin has been the leading publisher of classic literature in the English-speaking world. With more than 1,500Â titles, Penguin Classics represents a global bookshelf of the best works throughout history and across genres and disciplines. Readers trust theÂ series to provide authoritative texts enhanced by introductions and notes by distinguished scholars and contemporary authors, as well as up-to-dateÂ translations by award-winning translators. About: Two terrifying classics by “the best kept secret in contemporary horror fiction” (The Washington Post) Thomas Ligotti’s debut collection, Songs of a Dead Dreamer, and his second, Grimscribe, permanently inscribed a new name in the pantheon of horror fiction.